Jocelyn Olson joins us for one last day as a Special Guest Star and we couldn't be more psyched. She is sharing another phenomenal card. But enough writing let's get to the star! Vibrant colors and patterns juxtaposed with clean cool whites make this one visually striking and hypnotic card! 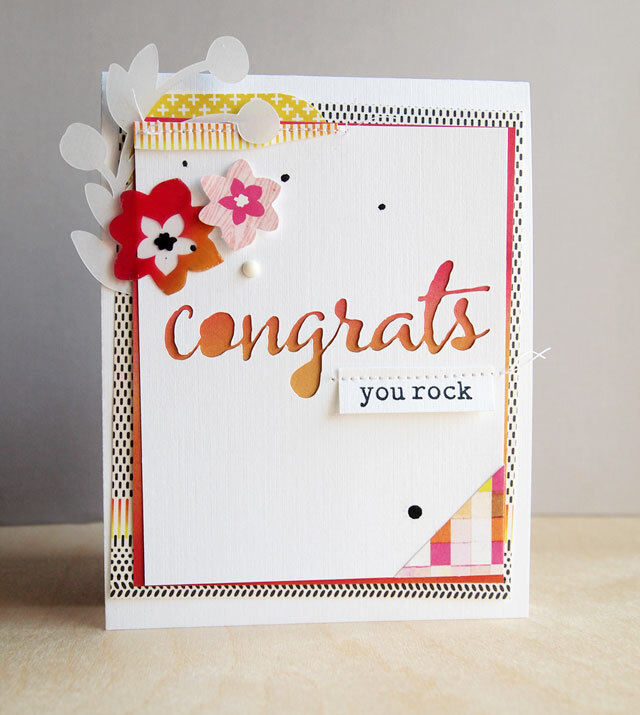 Here Jocelyn has let the negative of "congrats" from The Big, the Bold and You cut files shine by placing it over a bold ombre pattern paper. The "you rock" is stamped with The Big, the Bold and You stamp set (love the touches of sewing Jocelyn adds to her projects). She further decorates her card with vellum spray of leaves cut with The Write Stuff: Leave it to Mom cut files. Few can so artistically layer and yet Jocelyn nails it! Jocelyn, you rock! To see more about Jocelyn's project CLICK HERE. We were so fortunate to be graced with Jocelyn's awesomeness this week. We feel truly blessed and thank Jocelyn from the bottom of our hearts! Make sure to leave Jocelyn some love here and on her blog! 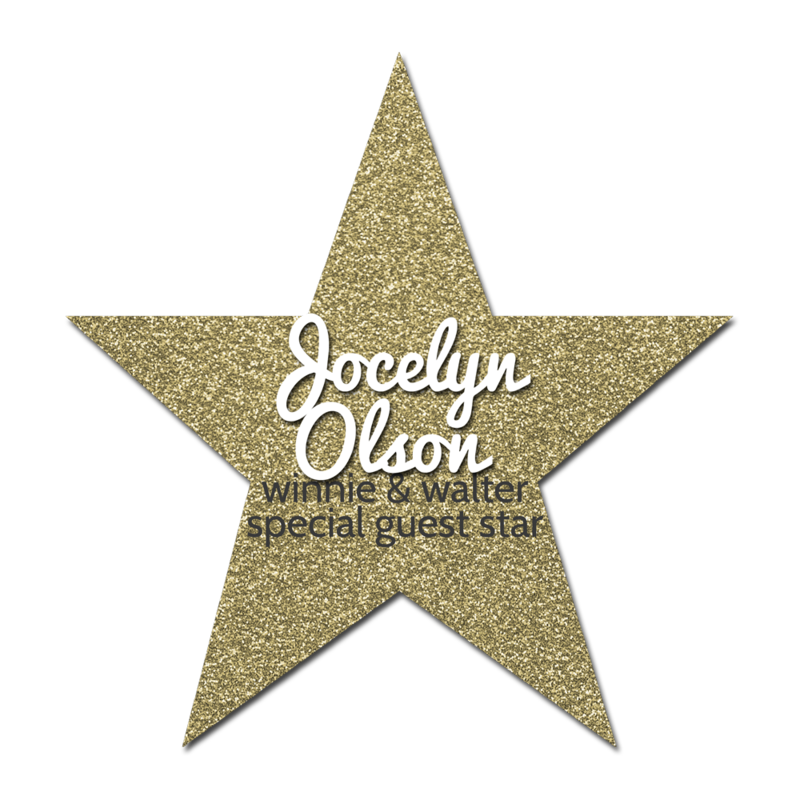 In case you missed it, Jocelyn's first Special Guest Star post is HERE and Monday we had our little "introduction" of Jocelyn which you can read HERE. Awesome card and great use of colors! I just LOVE Jocelyn's style...this is a beauty! Love the colors and the cutout! What a terrific card! Perfect combination of papers and elements with that great die cut. Gorgeous card! I love the gradation of colour. Gorgeous! Love all the layers and elements.